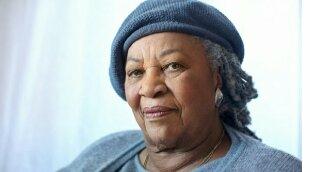 The Toni Morrison Society has selected Baton Rouge as the next site for its Bench by the Road Project, which commemorates places significant in Blacks history. On Feb. 6, 2016, a bench will be unveiled in honor of Blacks involved in the historic 1953 Baton Rouge bus boycott, which was the precursor to the Montgomery Bus Boycott. A series of events at the Carver Library located at 720 Terrace Street in Baton Rouge are planned to commemorate this recognition. All events are free and will be held at 9 a.m. The film “Troubled Waters” will be screened on Dec. 19 and the film “Sign Post to Freedom: 1953 Baton Rouge Bus Boycott” will be screened on Jan. 16. “Too few people are aware of the role that the 1953 Baton Rouge Bus Boycott played in the Civil Rights Movement. The bravery and courage of the residents of Baton Rouge changed public policies, hearts and minds. The Toni Morrison Society’s Bench by the Road Project provides opportunities for local communities, states, nations and the global community to engage in moments of reflection that connect our collective pasts with our shared destinies,” said Lori Latrice Martin, LSU associate professor in the Sociology and African and African American Studies departments. She helped lead the effort to recognize the Baton Rouge community. About 20,000 people participated in the Baton Rouge Bus Boycott over four days to protest the bus seating segregation that reflected systemic inequality. Gas stations offered free gas and 125 privately owned cars gave free rides to Blacks traveling to and from work. The United Defense League raised $6,000 in two days and won the support of many white citizens in Baton Rouge. Baton Rouge will be the Bench by the Road Project’s 18th site among cities around the world including Paris, France; Fort-de-France, Martinique; and Atlanta, Ga. The bench with a commemorative plaque will be placed at the first high school for Blacks in Baton Rouge — McKinley High School Alumni Center located at 1520 Thomas H. Delpit Drive. The Bench by the Road project was inspired by Morrison’s remarks in a 1989 interview with World Magazine, where she spoke of the absences of historical markers that help remember the lives of Africans who were enslaved and of how her fifth novel, “Beloved,” served this symbolic role. “There is no place you or I can go, to think about or not think about, to summon the presences of, or recollect the absences of slaves . . . There is no suitable memorial, or plaque, or wreath, or wall, or park, or skyscraper lobby. There’s no 300-foot tower, there’s no small bench by the road,” Morrison said. Planning efforts are led by the Baton Rouge Bench Commemorative Committee: Lori Latrice Martin (Co-Chair), the Reverend Raymond Jetson (Co-Chair), Judge Trudy White, Kali Johnson, Kenneth Fasching-Varner, Sadie Roberts-Joseph, Sarah Corie, April Hawthorne, Stephen Finley, Joyce Marie Jackson, Lisa Freeman, Modrall Lawrence, Cleveland Davis, Marc Garnier and Lorri Burgess. The purchase of the bench was made possible by donations from MetroMorphosis and Aetna.